According to researchers at the University of Michigan, the wide-scale adoption of driverless cars could be rapidly promoted by combining human and artificial intelligence in autonomous vehicles. This is precisely the aim of a new study that is dependent on a method known as instantaneous crowdsourcing to offer a cost-effective, real-time remote backup for onboard autonomous systems without requiring a human to be physically present in the driver’s seat. The study is undergoing at the U-M Transportation Research Institute (UMTRI). The researchers stated that the demand for human safety drivers in vehicles such as the autonomous taxis recently introduced by Waymo impairs their cost advantage in comparison with conventional ride-sharing services. It also tantalizingly keeps at bay the age of cars as autonomous rolling living rooms. Furthermore, a majority of researchers concur that machines will not have the capability to totally take over driving duties for years or even decades. Today’s autonomous vehicles can drive relatively well in typical settings, but they fail in exceptional situations—and it’s those situations that are the most dangerous. Designing autonomous systems that can handle those exceptional situations could take decades, and in the meantime, we’re going to need something to fill the gap. Walter Lasecki, Assistant Professor of Computer Science and Engineering, University of Michigan. Lasecki is also a leader of the project. Instantaneous crowdsourcing is different from earlier attempts at remote human backup because it has the ability to offer human responses within a few milliseconds—probably fast enough to help maneuver around a piece of roadway debris or evade a swerving vehicle. It makes use of connected vehicle technology and a remotely located control center. Real-time vehicle data would be analyzed by software in the vehicle, which would then electronically guess 10–30 seconds into the future to predict the probability of a “disengagement”—a condition in which the automated systems of the car could require human help. If the probability exceeds a predetermined threshold, the system makes contact with a remotely located control center and transfers data from the car. The system of the control center analyzes the data from the car, produces a number of possible scenarios, and shows them to multiple human supervisors, who are located in driving simulators. The responses of the humans to the simulations are sent back to the vehicle. Now, the vehicle includes an archive of human-produced responses from which it can choose instantaneously, based on information from on-board sensors. Although such a system might seem cumbersome and very costly, according to Robert Hampshire, a research professor at UMTRI and U-M’s Ford School of Public Policy, it would be comparatively less costly than employing a human driver in every vehicle. This could render it specifically valuable to ride sharing and fleet operators. Moreover, the huge volume of miles driven together with the fact that autonomous vehicles rarely require human assistance could promote economies of scale that would lower the cost per vehicle. There were 3.2 trillion miles driven in the US last year, and the best autonomous vehicles averaged one disengagement every 5,000 miles. We estimate that if all those miles were automated, you’d need around 50,000 to 100,000 employees, distributed city by city. A network like that could operate as a subscription service, or it could be a government entity, similar to today’s air traffic control system. Robert Hampshire, Research Professor, University of Michigan Transportation Research Institute. The algorithm-based screening at the start of the process renders it more useful compared to earlier efforts at remote human assistance, which needed the vehicle to halt, contact a remote call center, and obtain instructions before proceeding. According to Hampshire, another important aspect in enabling the system to work on the ground will be to design it in such a way that is workable for the huge number of employees. At present, the developers are working on the software platform. They look forward to testing the system with humans by the end of the first year of the project, where the system would capture data from actual vehicles by the end of the second year. The fundamental hypothesis behind instantaneous crowdsourcing was validated in a paper titled “Bolt: Instantaneous Crowdsourcing via Just-in-Time Training,” which was presented at the ACM CHI 2018 conference. The goal of the USDOT project is to adapt it for application in autonomous vehicles. 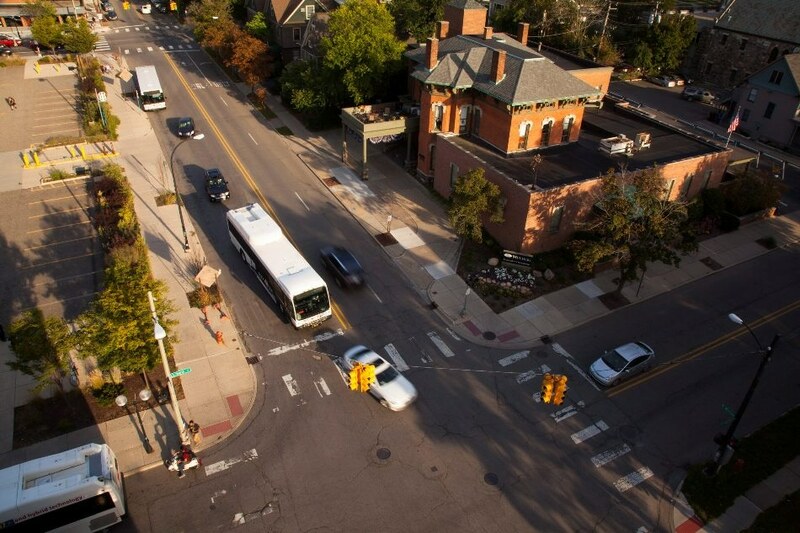 Apart from USDOT, the Center for Connected and Automated Transportation at UMTRI, Mcity and U-M’s Mcubed funded this project.